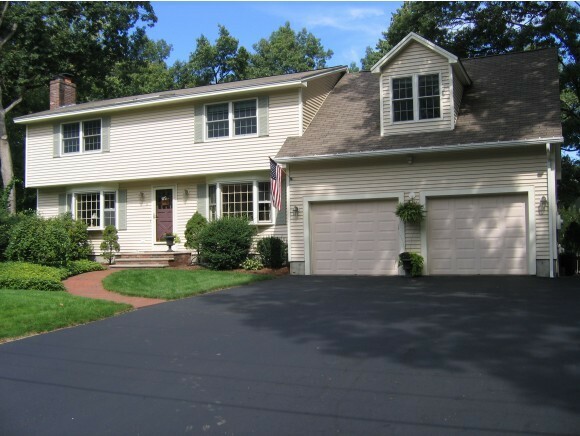 Location, Location, Location..North Nashua 3BR Colonial. Beautiful kitchen with granite and stainless appliances. Tile and hardwood floors throughout. Master bath with steam shower, living room W/gas fireplace and built-ins, formal dining room W/ built-ins, huge Family Room with vaulted ceiling and recessed lighting. Bonus Game Room W/ Sauna. Fenced yard, huge deck with Hot Tub and finished lower level. This house has it all, plus a new roof, too! !